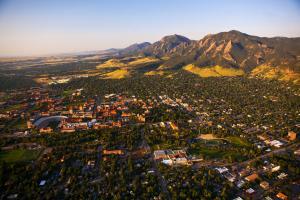 Boulder, Colorado, is located just 30 minutes northwest of Denver, exactly where the plains meet the Rocky Mountains. 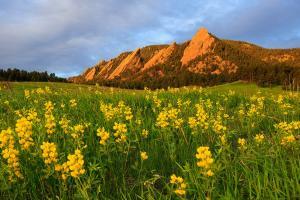 The town was founded in 1859 by explorers seeking the riches of gold, and Boulder&apos;s history only got more colorful from there. Today, visitors can enjoy the benefits of a community created by residents that embrace a healthy, culturally-enriched lifestyle. 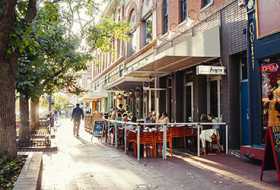 Whether you are an outdoor enthusiast, seeking intellectual stimulation or want a relaxing getaway, Boulder offers a variety of experiences for every type of travel. 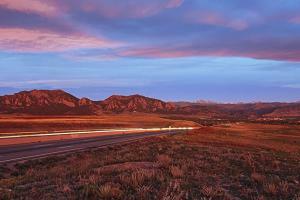 Catch a glimpse of some of Boulder&apos;s wildlife while strolling, hiking or biking through our 300 miles of trails and 45,000 acres of open space, people-watch at an outdoor café or restaurant on Pearl Street, visit one of our many national laboratories, or check out a top attraction like Celestial Seasonings tea factory, Museum of Boulder or the Boulder Dushanbe Teahouse. 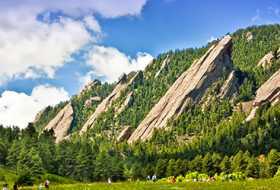 For more detailed information, visit our What Is Boulder Known For page or Boulder Trivia page for interesting Boulder tidbits and information. Hotels, lodges, B&Bs — all within the Boulder city limits.